A dark cloud is hanging over the future of the Vauxhall Insignia Country Tourer, with Vauxhall ready to drop the model from its UK line up owing to the high cost of production and slow sales. The higher-riding Insignia estate is available with both front- and four-wheel drive, and fitted with the so-called ‘Whisper’ 170PS 2.0-litre diesel engine – and therein lies the problem. It costs a lot for Vauxhall to combine that engine to a four-wheel drive setup and right-hand drive. Too much, it seems. 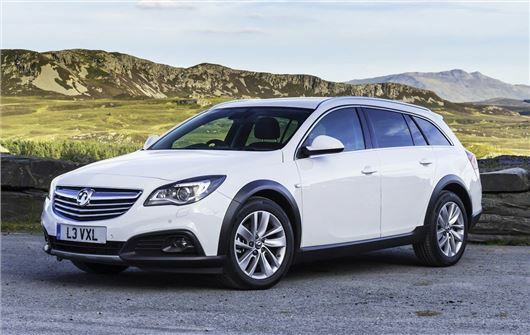 With a list price starting at £26,000 for a front-wheel drive version, the Insignia Country Tourer is competitively priced in a market niche comprising the Volkswagen Passat Alltrack and Octavia Scout – prices for the Alltrack start at £31,000, albeit with four-wheel drive standard. The Insignia Country Tourer features plastic body cladding, 18-inch alloy wheels, parking sensors front and rear, and twin exhausts integrated into the rear skirt, making it a distinctive estate car. With Vauxhall dealerships still holding stock of the Country Tourer, buyers will still be able to grab one for the next few months, and the model is set to continue in left-hand drive markets - but it shall soon be no more in the UK.